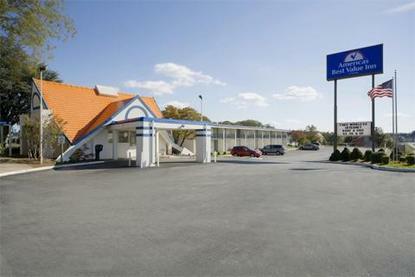 The Americas Best Value Inn of Madison Heights, VA is conveniently located along US Rt 29 just 2 miles north of Lynchburg, near the beautiful Blue Ridge and Allegheny Mountains. Our 2 story, interior-design property offers 66 cozy guest rooms featuring satellite TV w/ HBO, in-room perked coffee, AM/FM clock radio, internet access, hairdryer, patio or balcony and more. We offer our guests fresh complimentary continental breakfast, fax/copy services, guest laundry facility and ample truck/RV parking. For our guests convenience, we now offer Wireless Internet access in all ground floor guestrooms. We also have a computer available in our lobby for guests use 24-hours a day. We are in close proximity to Airport, Historical Museums and Memorials, Colleges and Universities and other attractions. Come relax and enjoy the value at the Americas Best Value Inn of Madison Heights/Lynchburg.